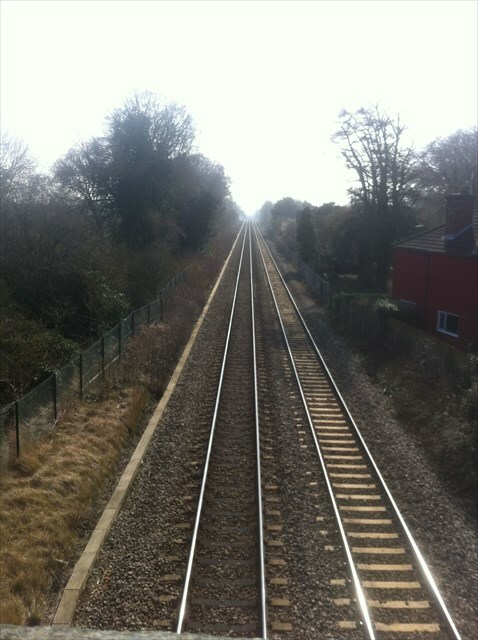 The railway line between Sleaford and Lincoln was built by the Great Northern and Great Eastern Joint Railway and opened on 1 August 1882; The Great Northern and Great Eastern Joint Railway (GNGEJR) was a joint railway owned by the Great Northern Railway and its rival, the Great Eastern Railway. It was established in 1879, and the joint company built a line between Spalding and Lincoln to complete a new, primarily freight, route between Cambridge and Doncaster, a distance of about 123 miles. The main purpose was to move Yorkshire coal into East Anglia, a highly profitable enterprise. Digby station opened on 1st August 1882 Digby station closed on 11 September 1961, but the line remains open today and sees trains running to Lincoln and Sleaford operated by East Midlands Trains. Some of the station buildings remain but are in private hands so are not visible Occasionally East Coast Main Line trains are diverted along this line.